10226 Golden Eagle Drive, Seminole, FL.| MLS# U7841493 | Thurston Groves Real Estate Listings, Seminole Florida. Call 727-392-6700. SELLER IS OFFERING A $10000. CREDIT TOWARDS BUYERâS CLOSING COSTS ON ANY ACCEPTABLE WRITTEN OFFER RECEIVED BY APRIL 15 2018. 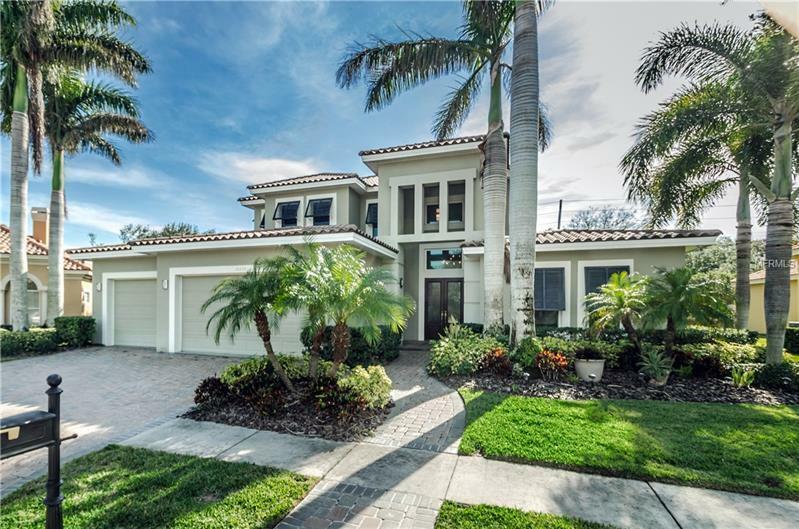 You will be captivated the moment you enter the grand foyer of this contemporary style home built in 2006 located in Thurston Groves an enclave of executive style homes in the heart of Seminole. This two story home offers a wonderful floorplan with the master suite on the first floor along with an office just off the foyer. The stunning kitchen with cork flooring solid surface counters a gas cooktop a stainless steel vent hood double wall ovens dual dishwashers and a breakfast bar is wide open to the family room making this home perfect for entertaining and for daily living. A separate formal dining room with French doors and a breakfast nook offer two options for mealtime. A third option would be to step out to the covered and screened lanai to enjoy a meal. The family room also with cork flooring features built-in shelving on two walls which provides ample display space for showcasing your artwork or book collection. Rounding out the downstairs is a bedroom two full baths and a laundry room. Upstairs are two bedrooms a full bath and a large bonus room perfect for a media room or a second office. The much sought after three car garage has plenty of space for your vehicles and toys. Thurston Groves is truly a beautiful neighborhood in a non-evacuation zone and only minutes from several county parks the Pinellas Trail the new Seminole City Center and the Gulf beaches. Pet Restrictions: 2 dogs max. Verify pet weight limit.